This past weekend I had the privilege of attending the Canadian Theatre Educators’ Conference where I met a number of really great people who all teach theatre at different institutions in Ontario. For two days we talked about teaching acting, voice, dance etc – largely, but not exclusively, at the post-secondary level. Something I heard expressed several times was ‘teachers are scared.’ They are scared of getting fired, they are scared of getting sued, they are scared of not being able to help students that are suffering from mental health, they are scared that we aren’t doing enough to tackle issues of diversity and inclusivity… in short they are scared that they (and their institutions) are failing. I can totally relate. I have felt all of these things while I was teaching and I continue to feel them. And I have moments when I get in the thick of these fears where I think ‘it’s too hard to be a teacher’ I am just going to be a _____________ instead. But we can’t let these fears win. We live in a scary and uncertain time. Gun crime is up in Toronto. There was a terribly shooting on the Danforth just over a week ago. In the UK Brexit is going further off the rails as the deadline looms. In the US I can’t keep track of who Trump has most recently insulted or what statements he is now back-pedalling on. These are difficult and challenging times we are living in. And difficult and challenging times need teachers more strongly than ever. Not because teachers have the answers. Because we don’t. But because teachers remind us that learning is about asking questions. Trouble starts when we think we know all the answers or are in possession of ‘the truth.’ Asking questions, challenging assumptions, asking more questions, gets us closer to what is true for us. And recognizing that there are individual truths that we are all in possession of, but that my truth might be different than your truth, is where we make room for diverse voices/opinions/ideas. Teachers help us to be good people and helps foster good communities. When I was leading a University programme the problems we had with students almost never happened in the classroom. They happened on social media. They happened in the student bar. They happened in places where the teacher wasn’t. Where students forgot or ignored the lessons that their teachers taught them. Where they tried to impose their truth on someone else. We can fear as teachers that a student is going to fall through the cracks. And sadly it does happen. But what if instead of thinking that the responsibility for every student rests on our shoulders (and ultimately it does) BUT what if we create an environment where that responsibility is shared between every student? We can’t see everything that happens at every moment, but can we train and empower the 30 students in the class to all look out for one another and to help ensure that none of their colleagues fall through the cracks. I feel one of our greatest responsibilities as a teacher is to train students to be colleagues… and GOOD colleagues not stab-you-in-the-back colleagues. I was at a conference a few years ago where the theme was using arts education to create good citizens. That participating in art, drama, music can help to teach the values that make a good citizen. Respect. Equality. Diversity. Inclusivity. Storytelling. Truth telling. Sing in a choir and you can learn all these things. Be in a play and you can learn all these things. Play in a band and you can learn all these things. At this weekend’s conference we spent a lot of time discussing things we can ADD to an overcrowded curriculum and ADD to the workload of an overburdened teacher to tackle some of these issues. And I wonder if doing MORE isn’t the answer here. But if the answer instead is to turn back to the art. To trust even more strongly in the power of art/drama/music/dance/storytelling/literature to help guide people to health. To sanity. To love. To community. To their truth. Scary times need more art not less. When we’re feeling scared is when I think we have to believe even more strongly in the power of teaching and the power of our art to heal the communities in which we come into contact. The more we doubt ourselves and doubt our art, the less effective we will become. 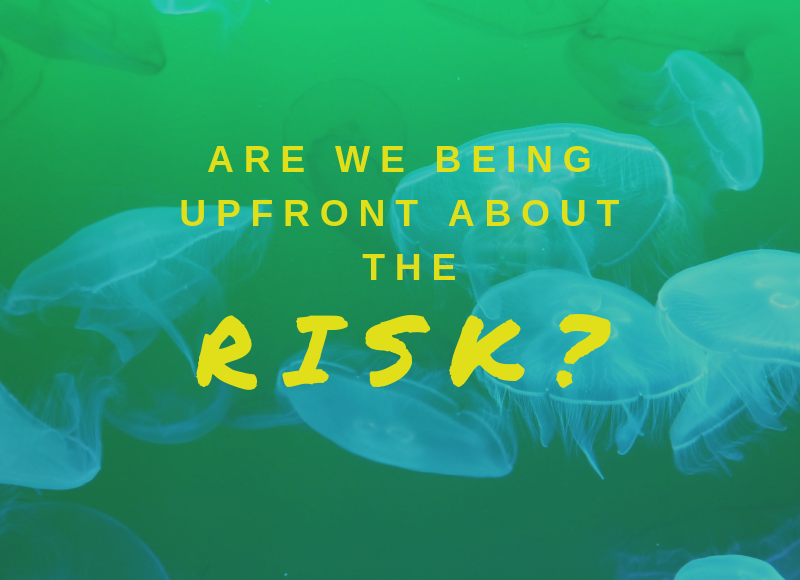 The more we let the fear worm its way into our hearts, the less impact we are going to have in the classroom. 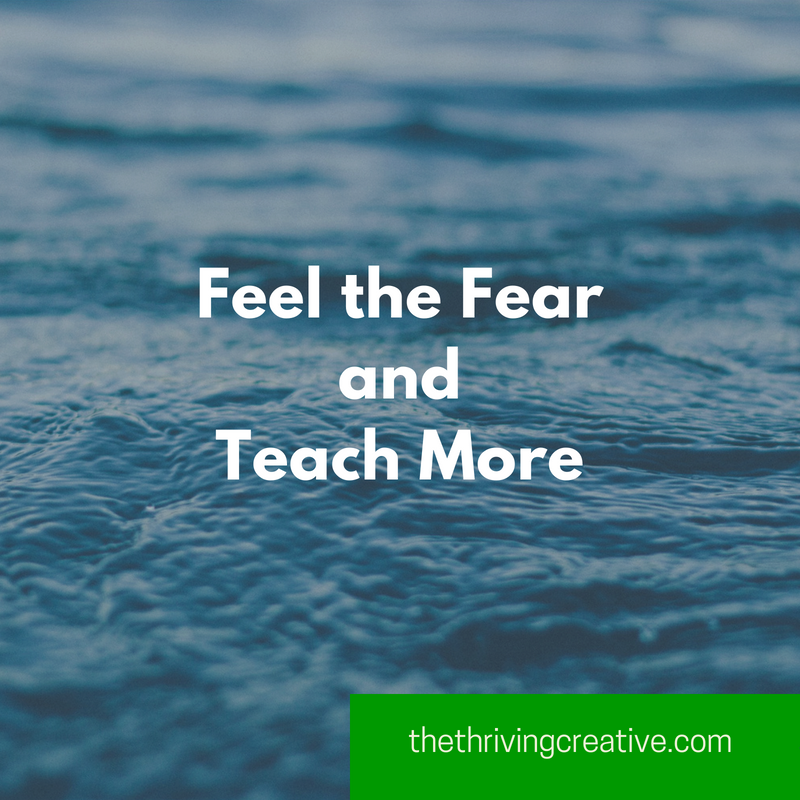 We have to feel the fear and teach more, not less.